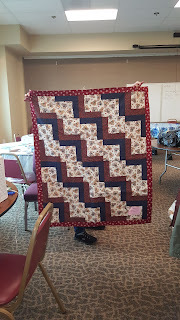 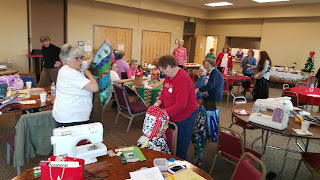 There is nothing more in this world that I could ever want to be known for then this deeply meaningful journey that I have been on in my journey of creating with my hands and from my heart as I give and share my stories, my blogging, and most of all my sewing and quilting for others. 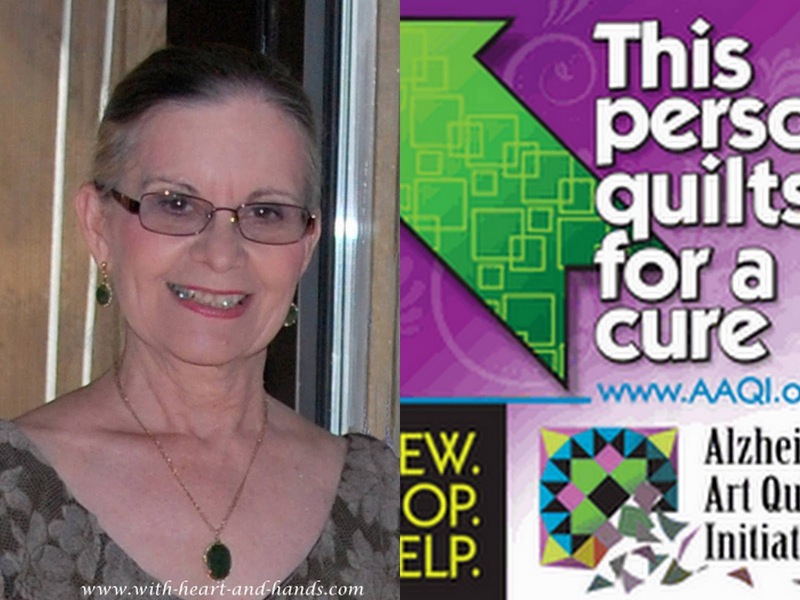 Everywhere I go I am in a sea of people who may have different thoughts, ideals, hopes, or dreams than I do. 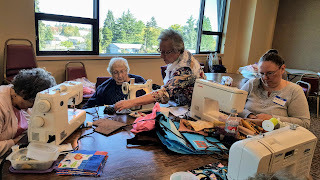 But in our hearts of hearts, at our most basic selves as loving, caring, human beings filled with the spirit of caring and sharing-- we are all very much alike. 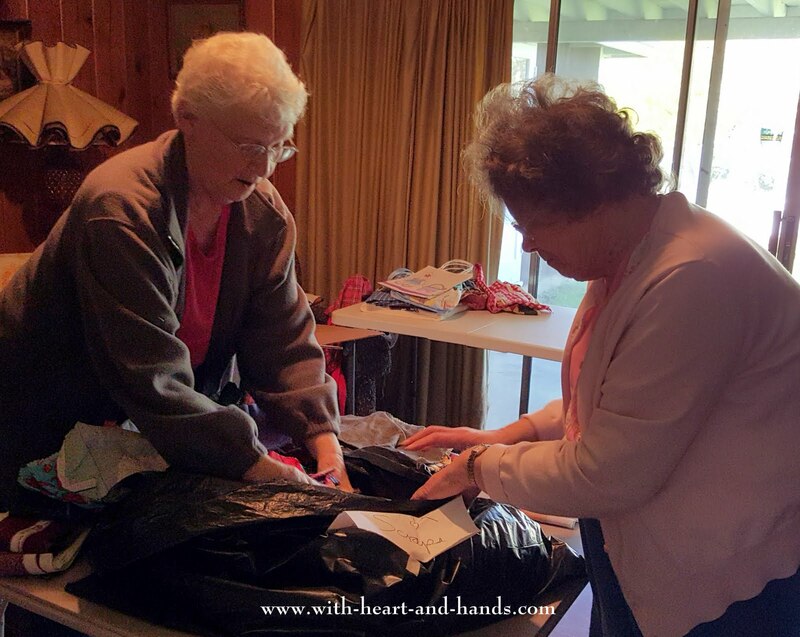 We give and do for others... and not just for ourselves. 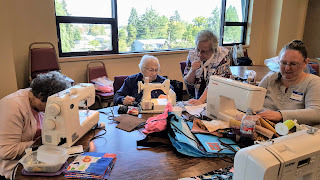 The only thing that interrupts my plan is the love of family and family time before community and of course, grandchildren time always prevails! 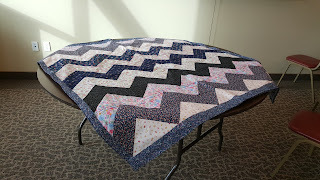 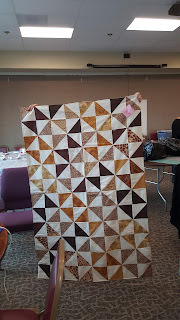 But I also finish projects that began in one place and are finished in another! and often simple, a donation can be! 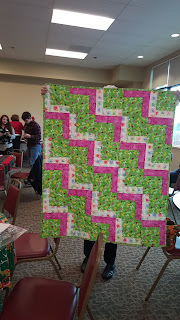 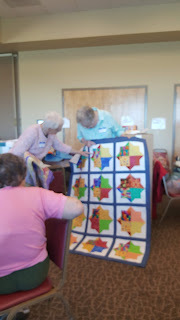 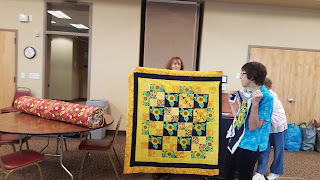 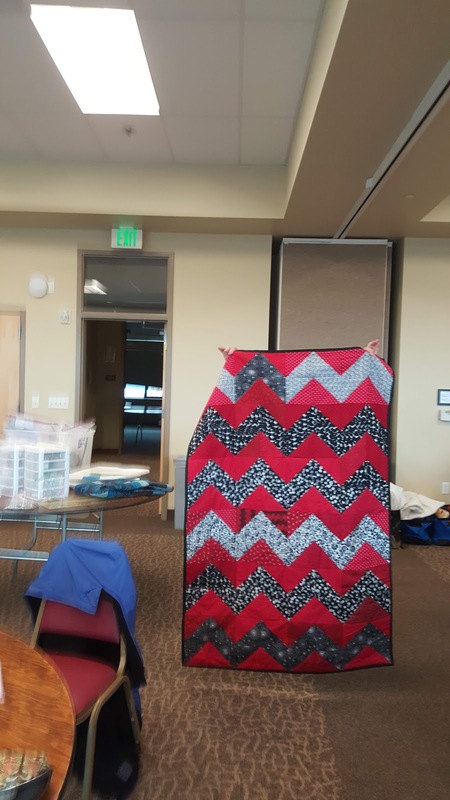 And making blankets or quilts for foster children brings it's own joy! 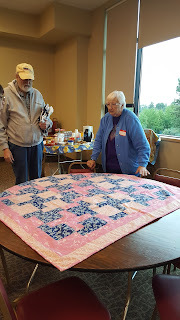 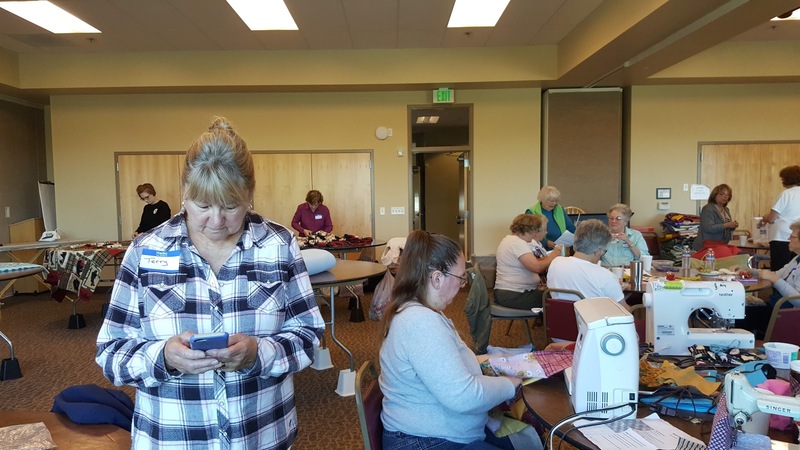 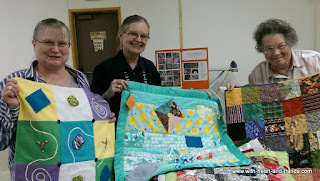 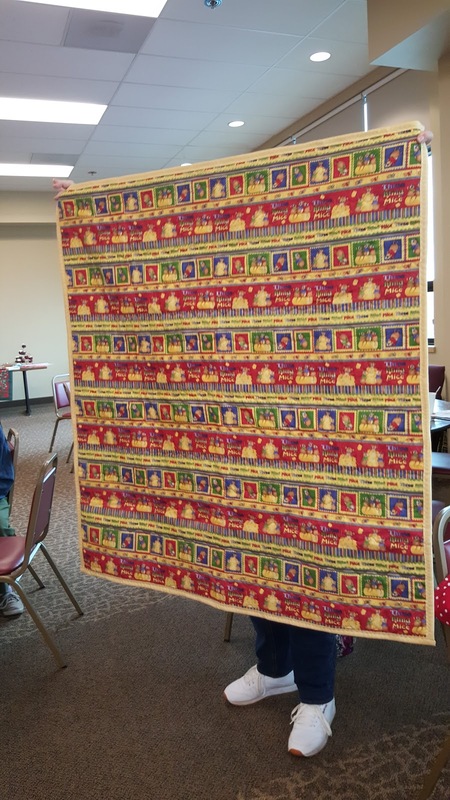 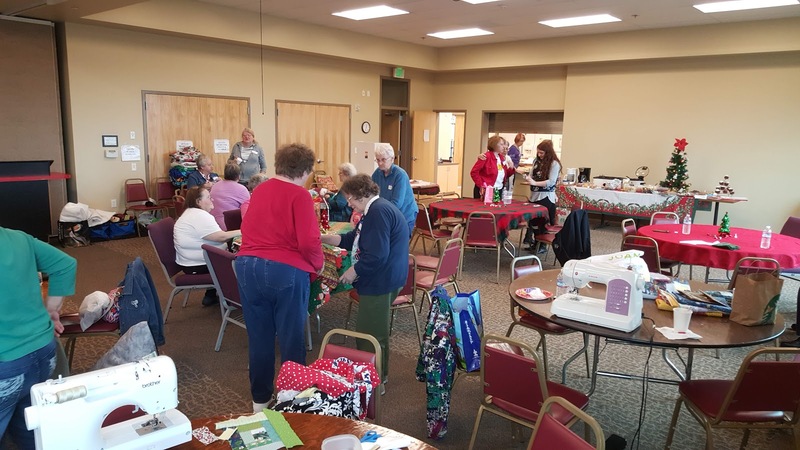 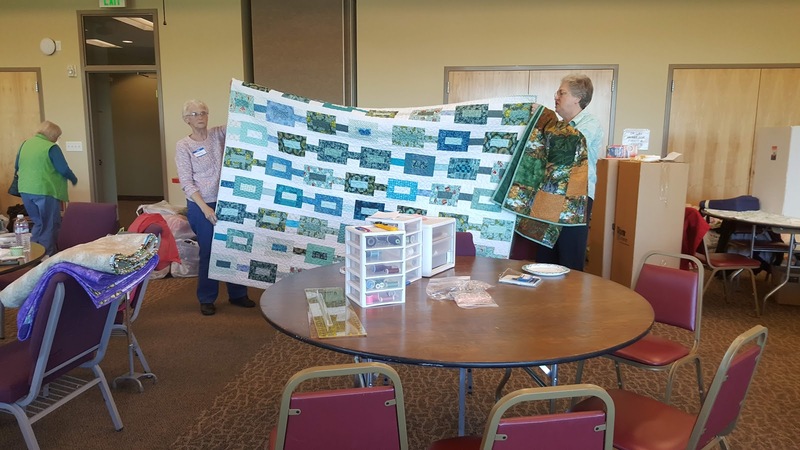 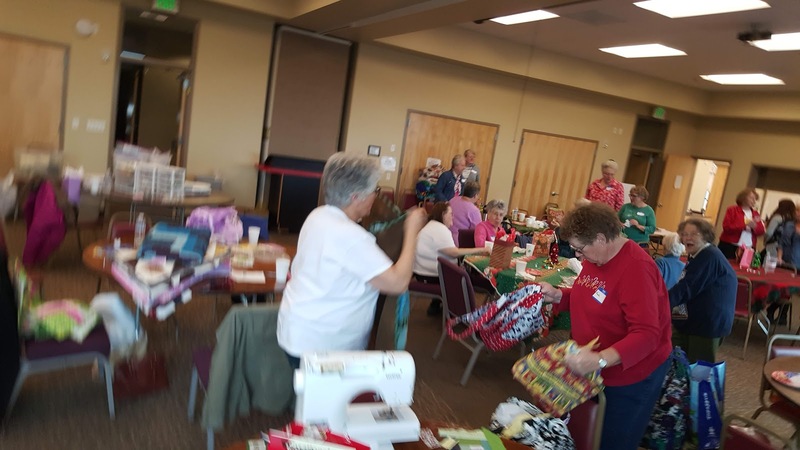 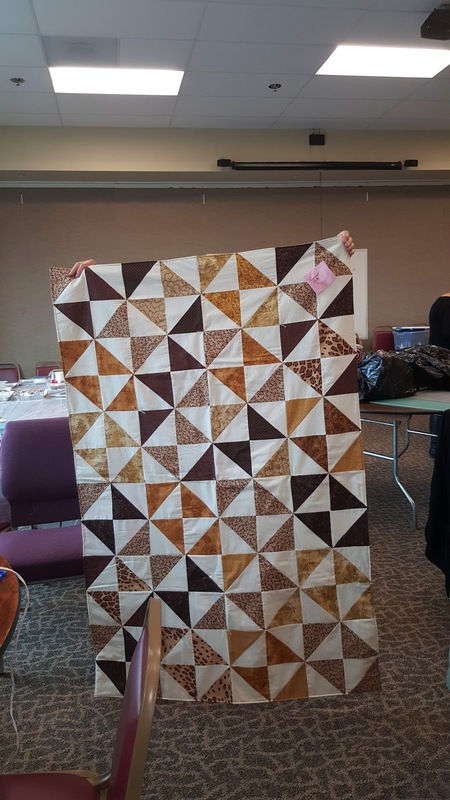 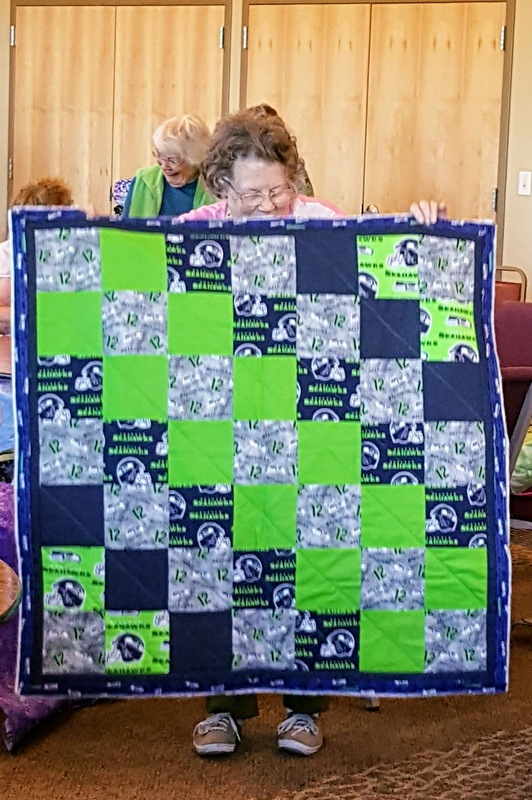 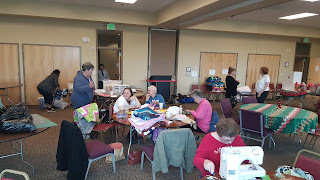 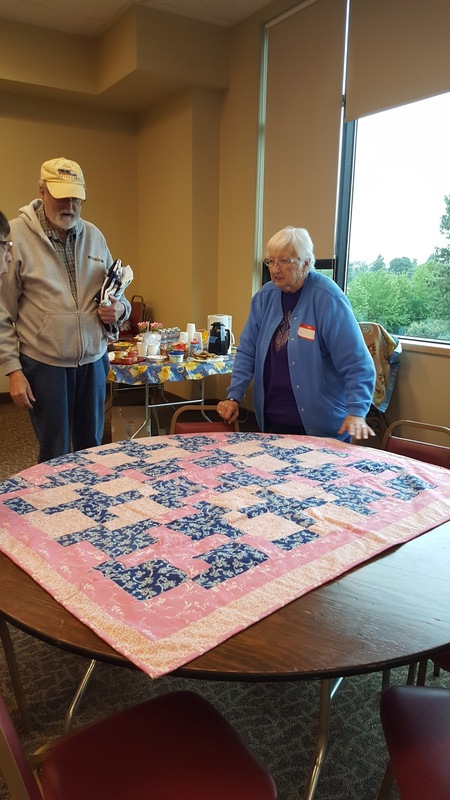 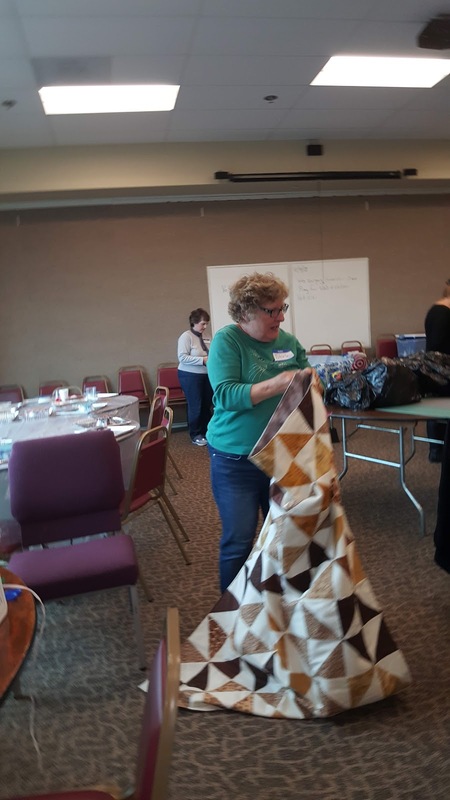 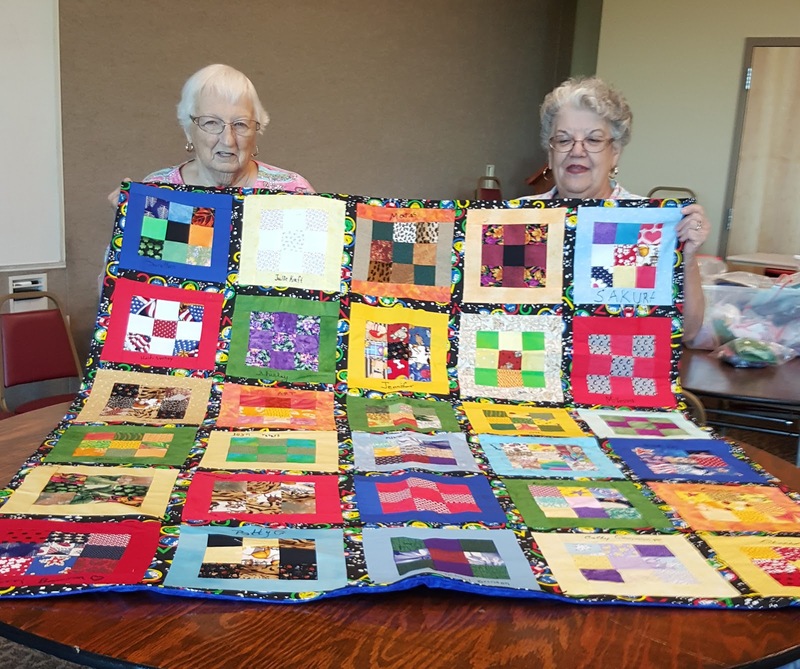 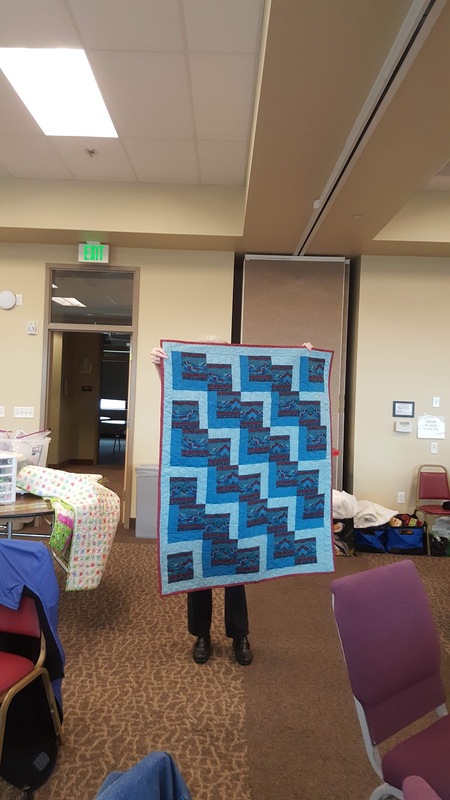 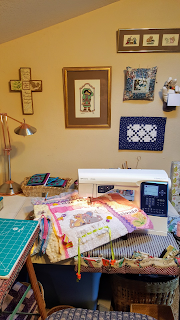 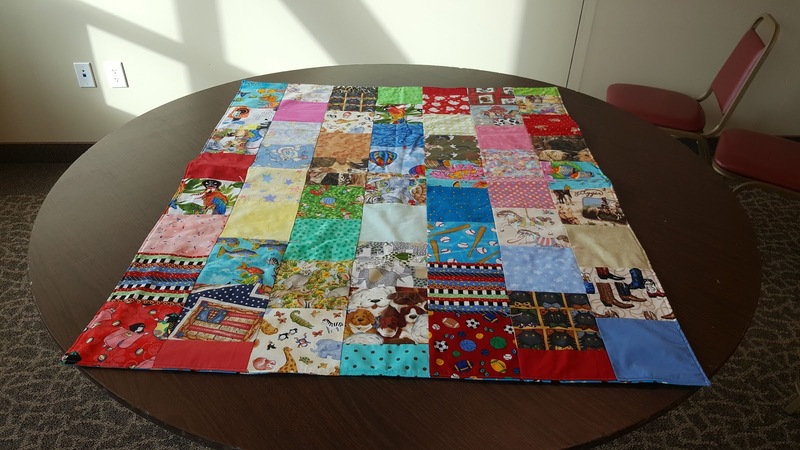 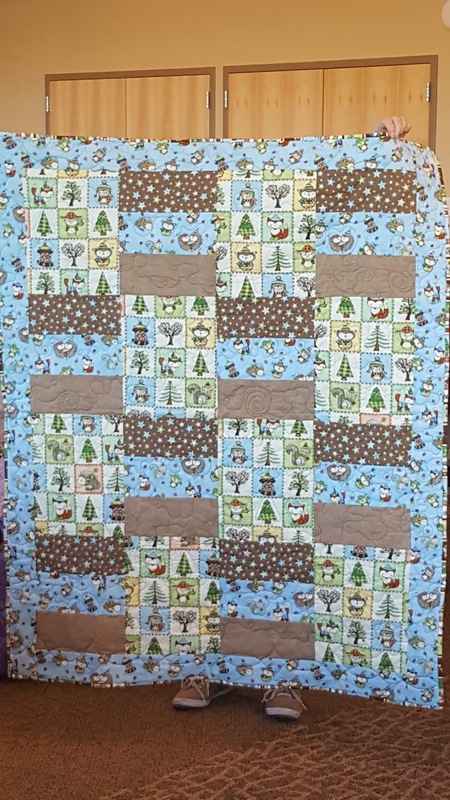 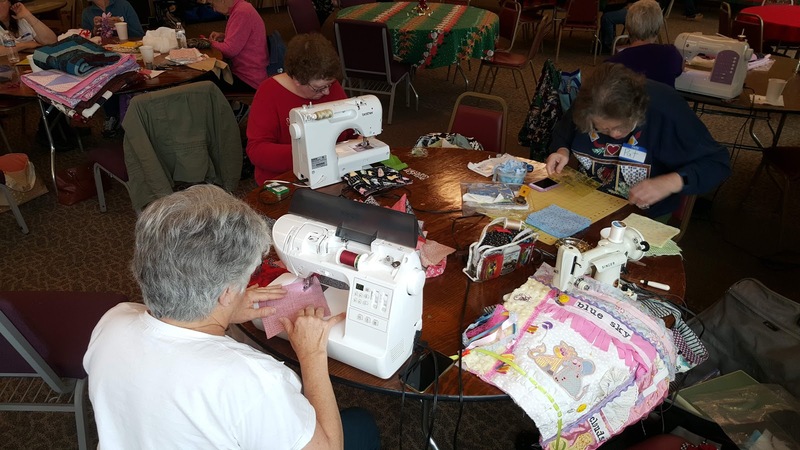 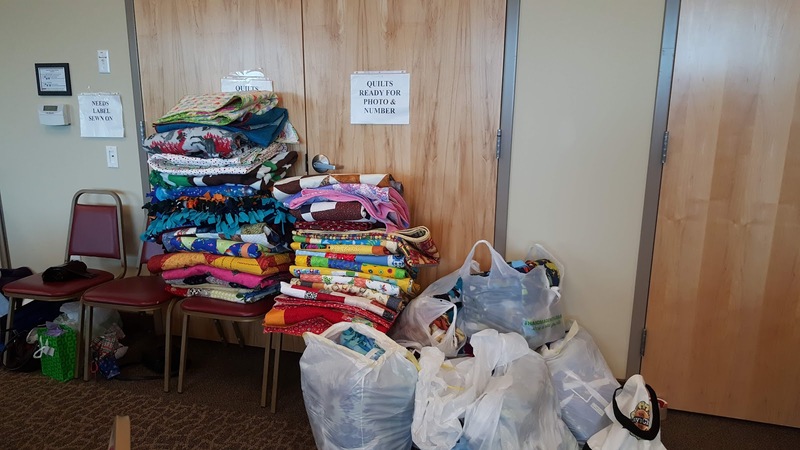 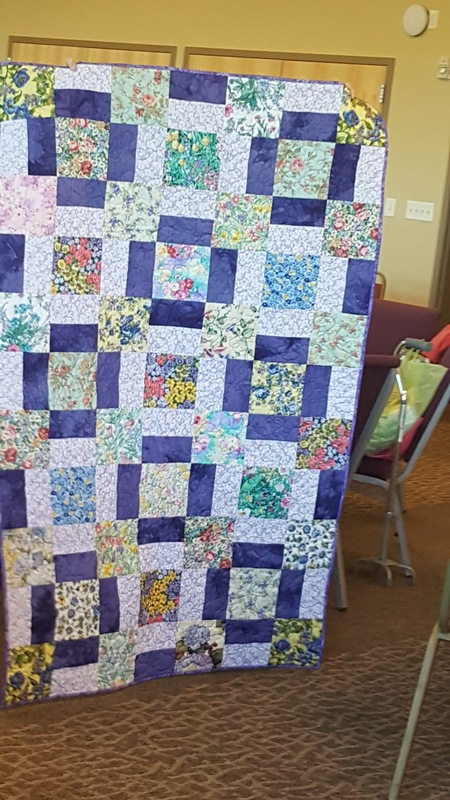 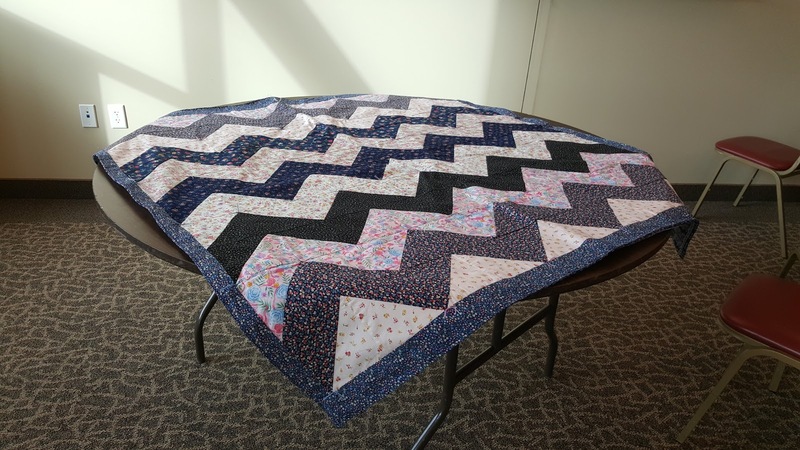 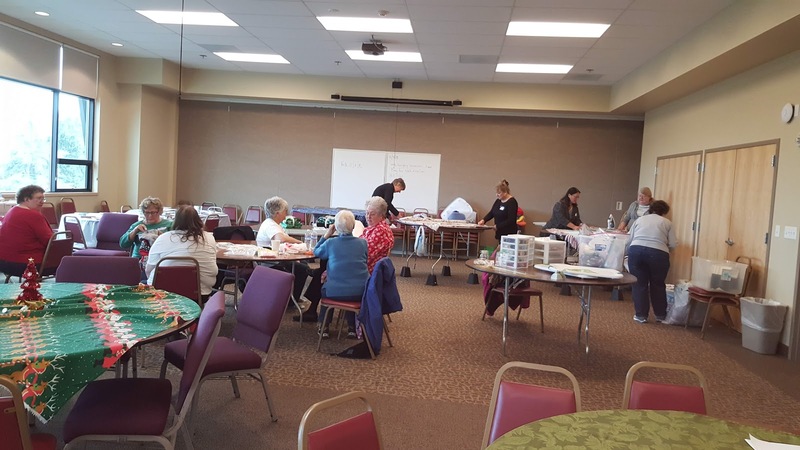 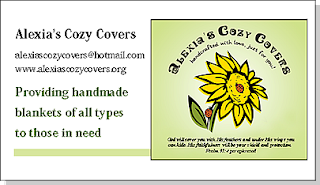 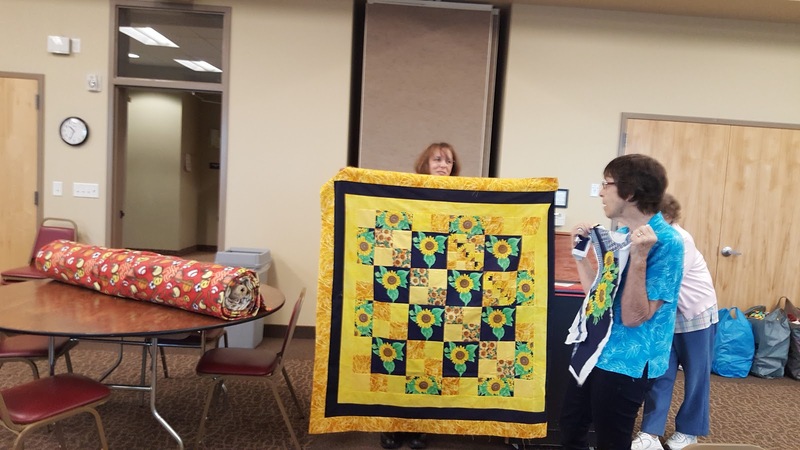 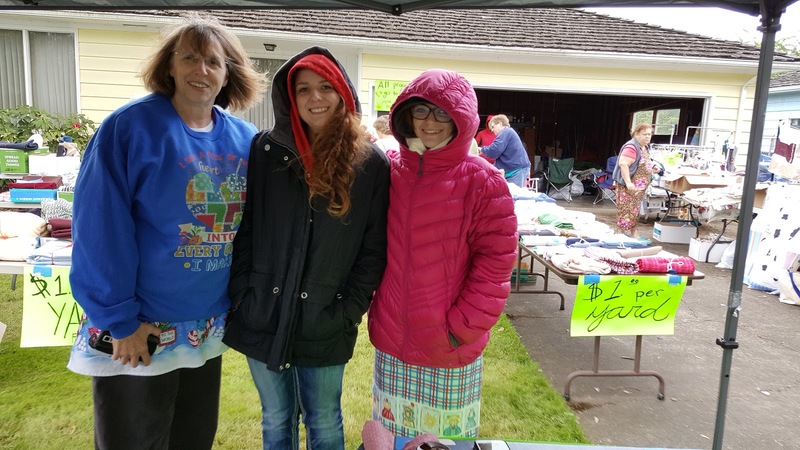 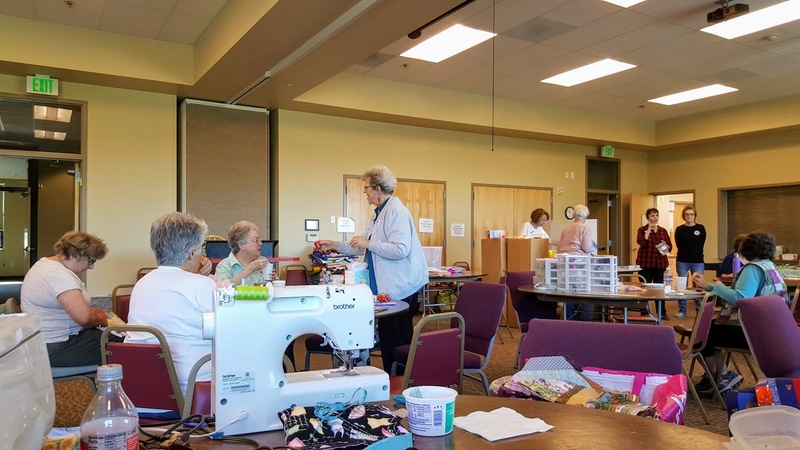 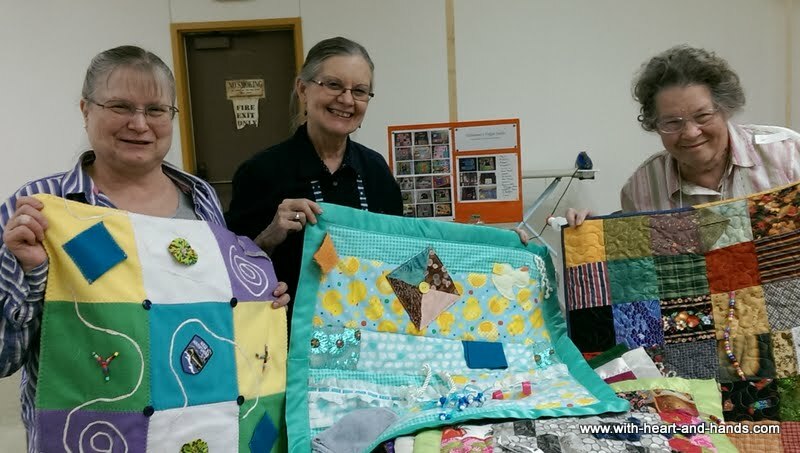 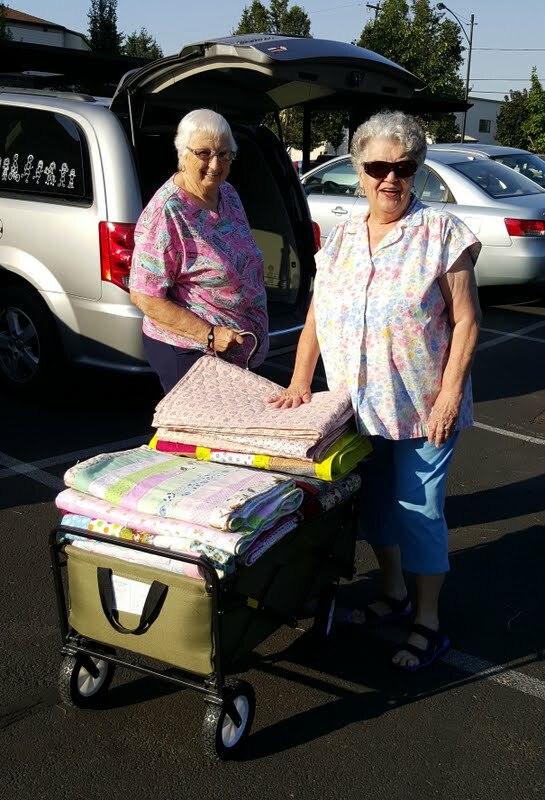 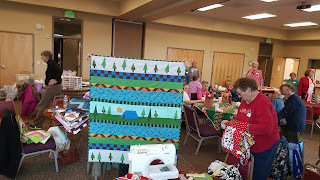 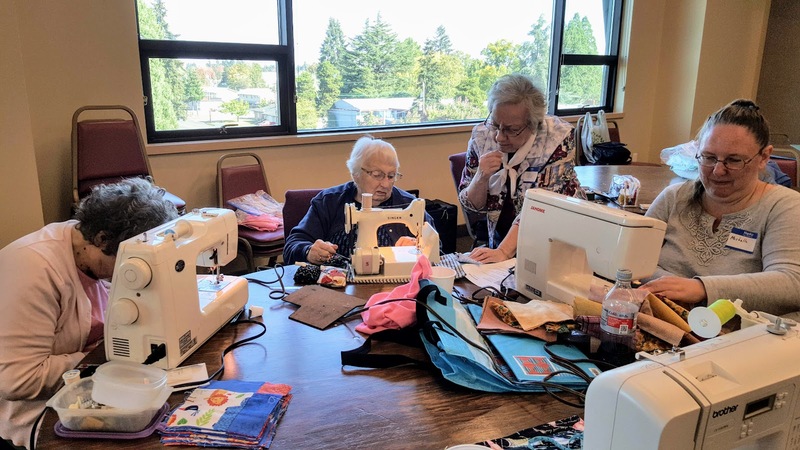 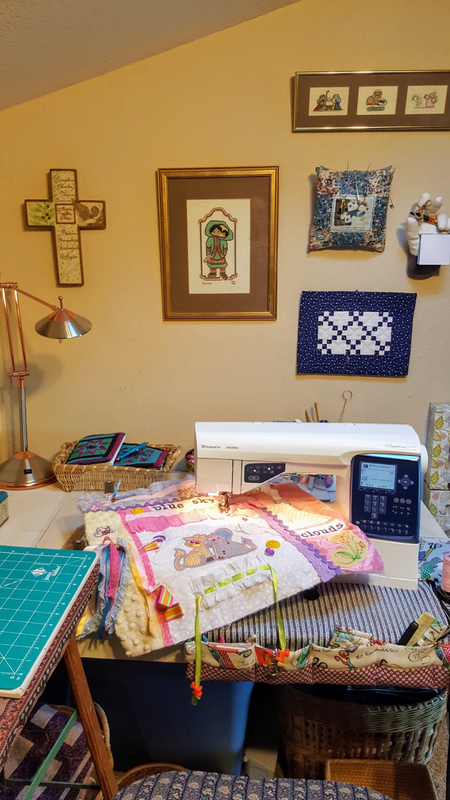 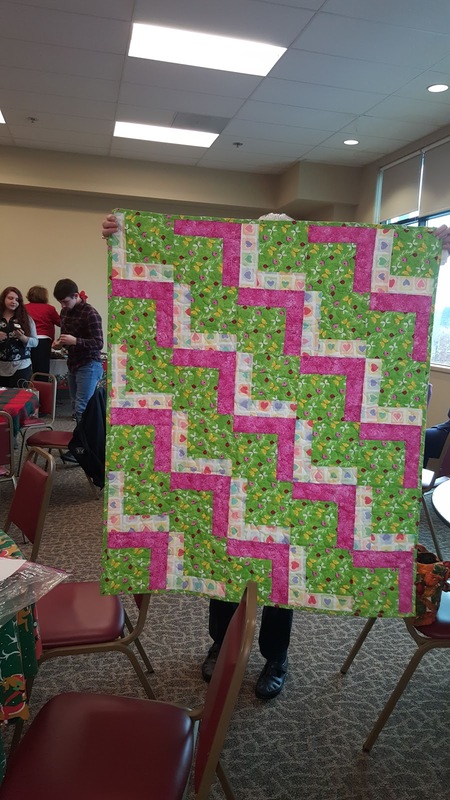 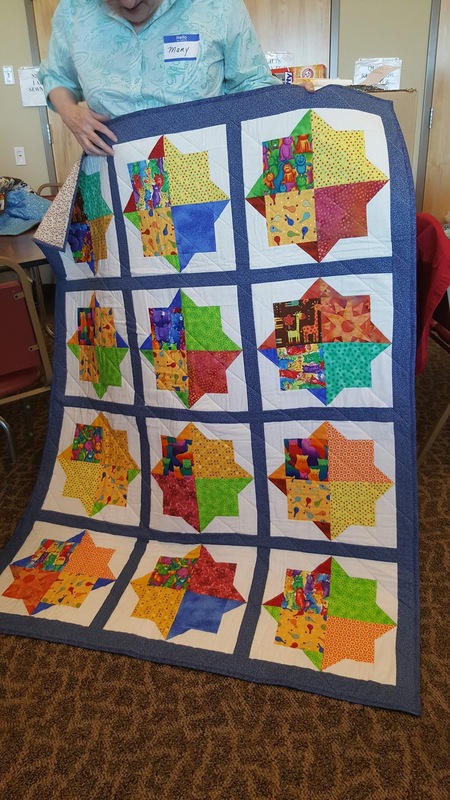 "Alexia's Cozy Covers" meets at a local church, and cuts, ties, or sews quilts and fleece blankets from 10 a.m. to 2:00 p.m. on designated Saturdays. 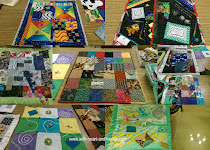 Yards and yards of fleece and donated bits and baubs of fabric our projects are pinned, cut, tied or pieced into blanket tops and backs or calico patchwork strips. And bits that magically transform into lap quilts, baby wraps and foster teen comfort blankets. 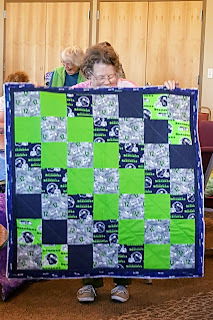 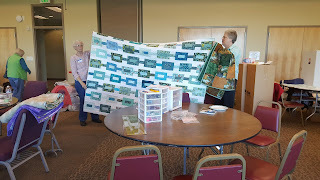 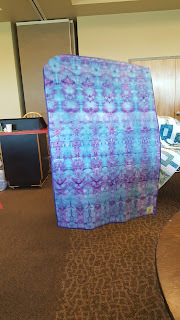 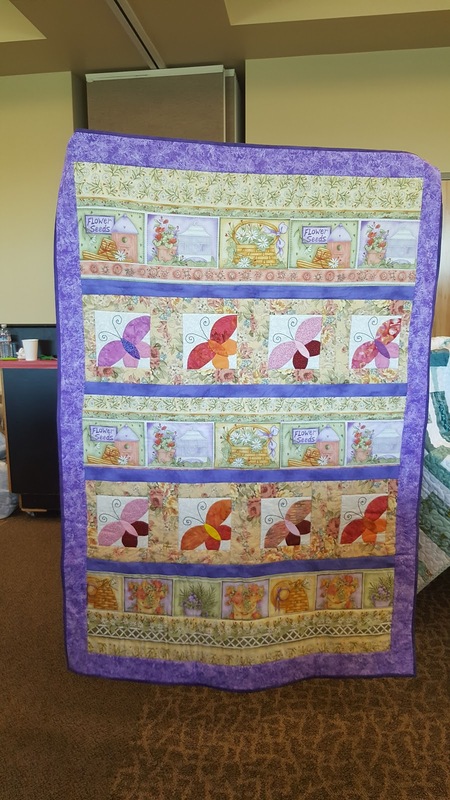 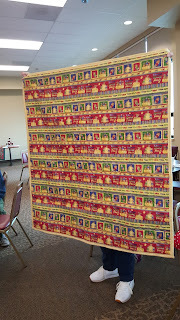 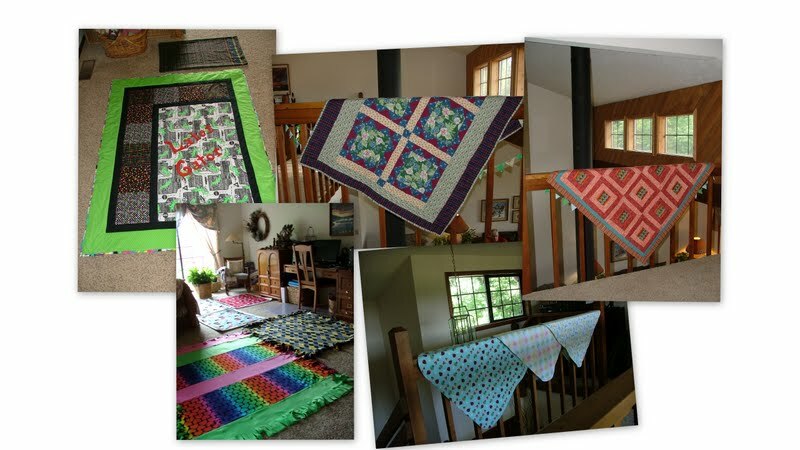 And yes, we do have requests for my own beloved Alzheimer Fidget quilts and blankets that I am known for having made them with printed off photos as simple memory quilts or fussy cut "I spy"quilts since 2005. 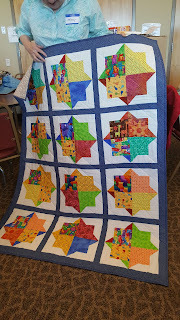 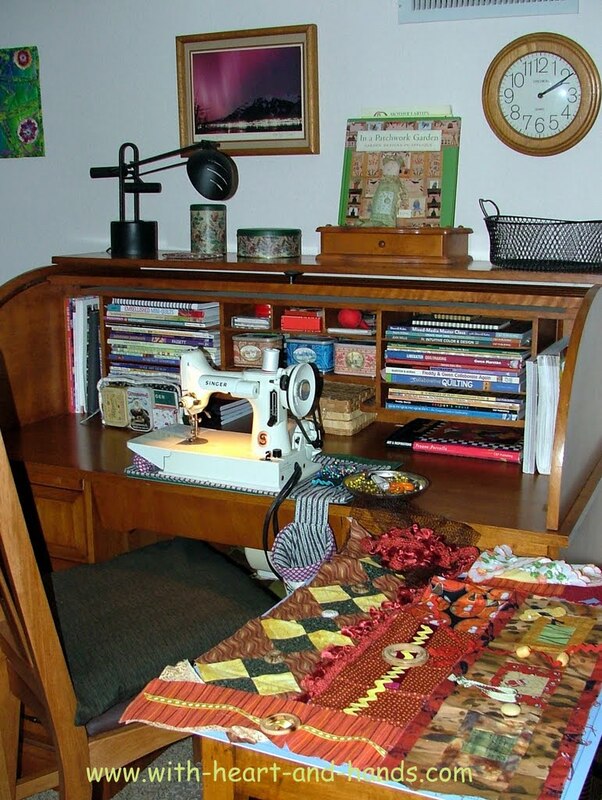 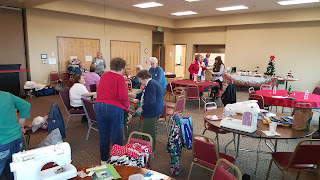 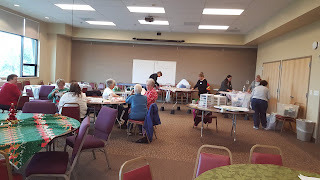 I've sewn at many different churches, quilt guilds, community gathering rooms. 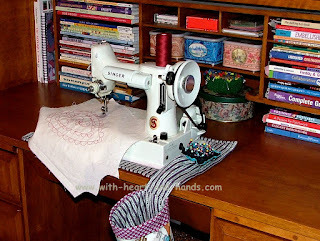 In my or other's homes, kitchens or even by hand in the car. It's always rejuvenating and inspiring..
We all do the best we can with what we have. 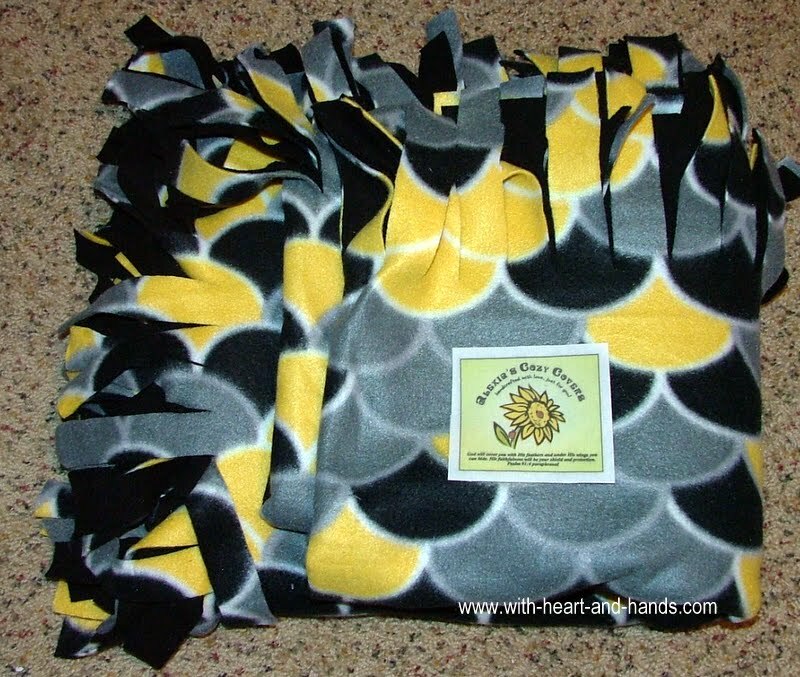 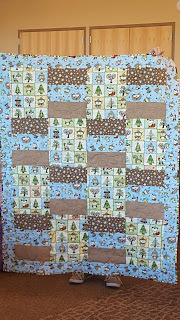 Sewing, quilting, blanket or baby layette creating is wonderful, heart warming, fun! 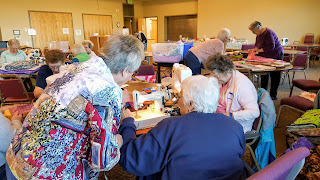 We laugh together, bemoan our sewing or cutting mistakes together, and when something really goes awry...we help try to fix one another's sewing machines, offer any forgotten supplies, figure out alternatives and best of all....bring yummy food or treats each of us didn't have to prepare ourselves! This is the heart, the magic, the creative spirit of joining in with creative and giving spirits and helping others in the process of learning how more alike we are than different! Be grateful for all you have and help others when, and where you can. 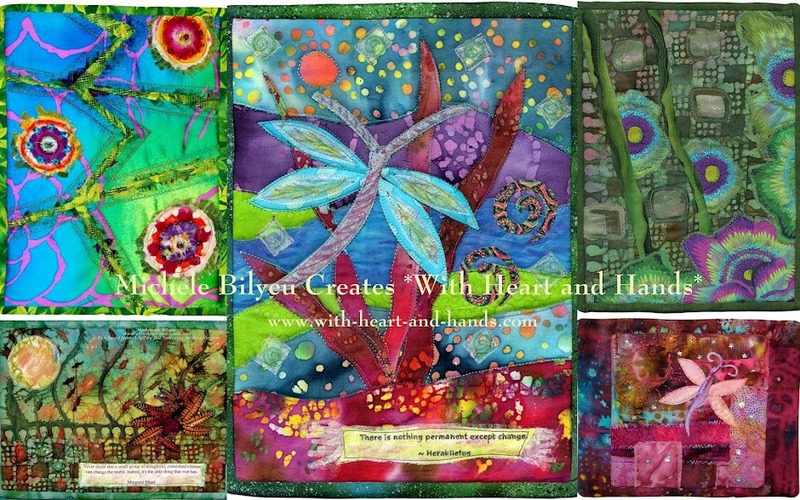 from my heart and with my hands to yours! 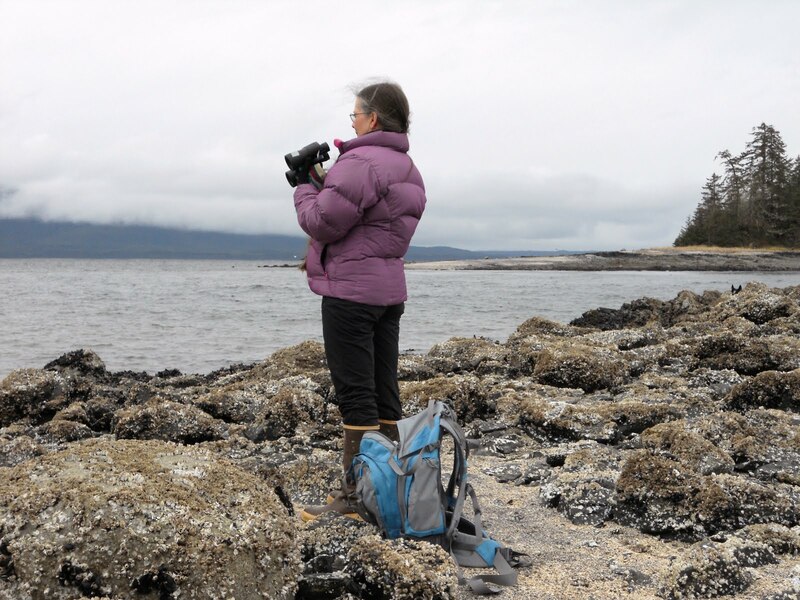 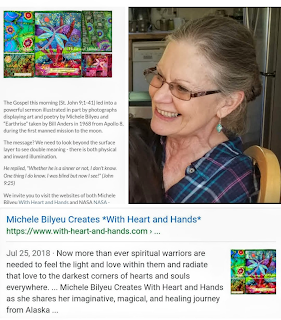 Michele Bilyeu Creates With Heart and Hands as she shares her imaginative, magical, and healing journey from Alaska to Oregon. 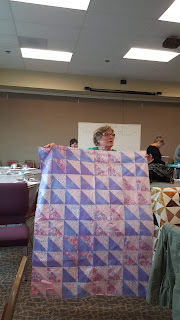 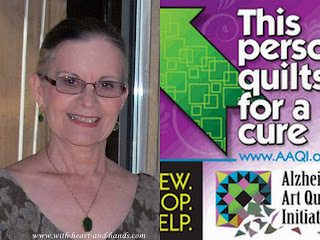 Creating, designing, sewing, quilting, and wildcrafting... from my heart and with my hands.